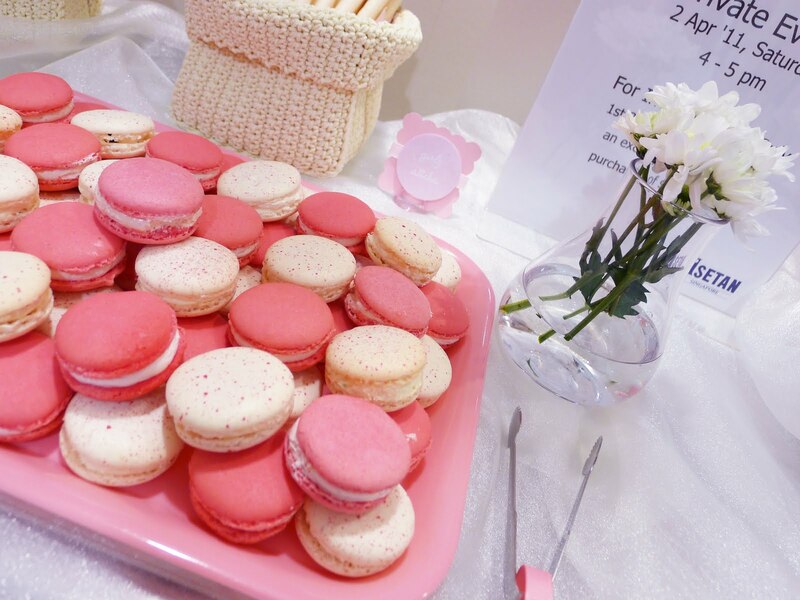 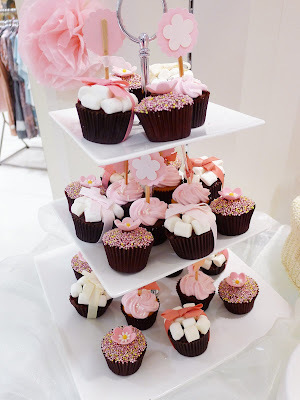 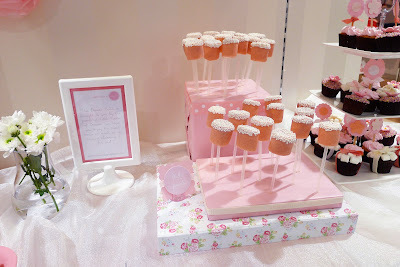 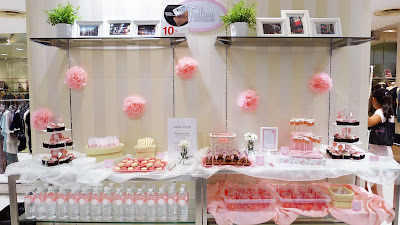 This flirty & romantic Dessert Table at Isetan Wisma was such a pretty sight. It was for Fashion Avenue's launch of a new collection of apparel that was inspired very much by girlish charms, lace and everything pretty! Hence we decided naturally on a series of pinks as the main color theme. We also customized the drink bottles to match with the theme. 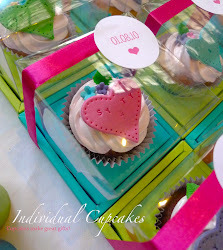 Pretty cupcakes together with peach pink marshmallow pops stole the show and the macaroons added to the girlish factor with their sweet colors.